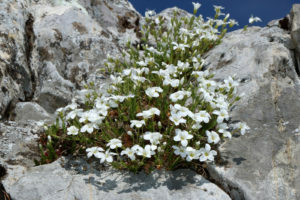 Large-flowered sandwort is primarily native to mountainous regions bordering the western and central parts of the Mediterranean Sea. 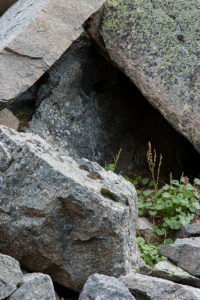 Aptly illustrated in the first photograph, the typical habitat is dry, rocky sites. 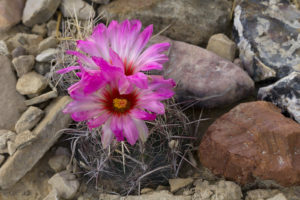 Widely distributed in the Mexican parts of the Chihuahuan Desert, Thelocactus bicolor‘s range elsewhere is restricted to two counties in adjacent Texas, Brewster and Starr. Frankenia is the sole genus within the Frankeniaceae, or the sea heath family. 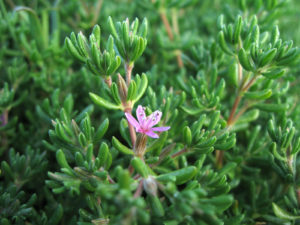 This flowering plant family has a distribution that covers warm, dry areas of most continents, though the majority of species are Australian. 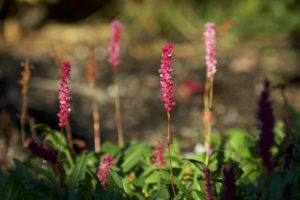 Typically, plants in this family are associated with soils that are either saline, calcareous, or gypsum-rich. 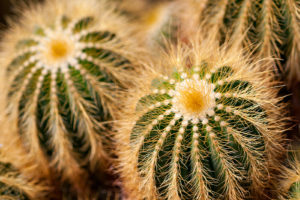 This endangered species of cactus from Brazil lacks a common name. Parodia warasii is native only to Brazil’s southernmost state, Rio Grande do Sul, where it grows in the cracks of rock walls at four different locations. 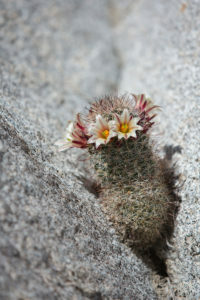 A springtime photograph from this past year, during a visit to Anza-Borrego Desert State Park. You may be wondering why I shared two very similar photographs today. There is a significant difference between them, though it isn’t immediately evident. The photographs were taken 7 years apart.